St Andrew’s, on Bethune Road, is a Grade II* church by AW Blomfield. Consecrated in 1884, it is remarkable for the extensive and coherent decorative design of the interior. Murals cover almost every available wall space and all the windows, apart from those on the south side that were lost during World War II, are painted. Heaton, Butler and Bayne, the premier Victorian designers of murals and stained glass, carried out most of the work. The congregation at St Andrew’s is small and has been without a full time priest since 2005. Only two members of the congregation are employed; only two have computers. 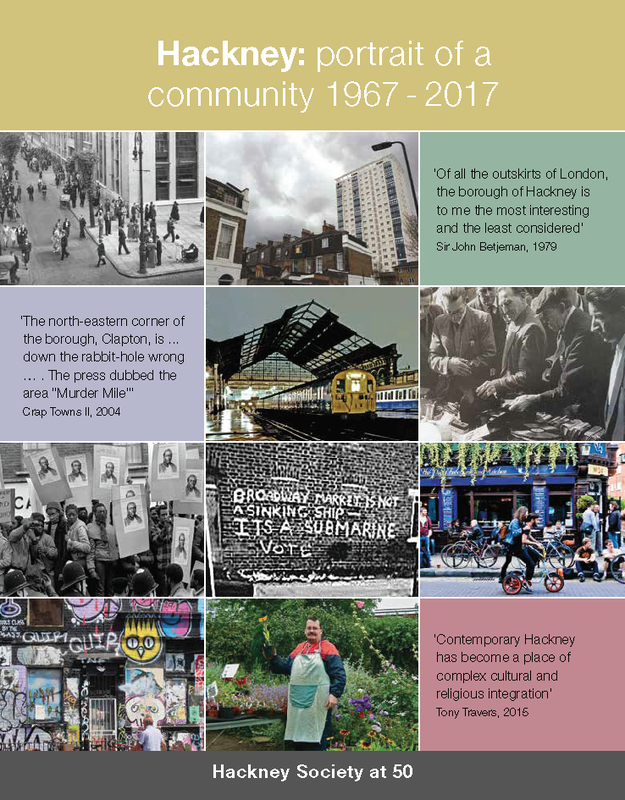 In recent months, the Diocese of London has begun to address the problems faced by this congregation and is developing ways of supporting it. The roof leaks and a grant from the Heritage Lottery Fund has been secured to enable the south aisle and south nave roofs to be replaced. Work will also be done to repair crumbling stonework. The great west window, which leaks, will be repaired, as will the associated stonework. A condition of the HLF grant is that the congregation commit to activities that will enable the church to be open at identified times during which visitors will be able to learn more about the church’s history, its murals and its windows. Help is needed to enable the congregation to undertake these activities. The suggestion is that the church would be open for London Open House, which coincides with Ride and Stride, a fundraising event that encourages people to visit churches. Other openings could include The Big Draw, which promotes drawing, and projects that could be developed with local groups such as the Hackney Society or with organisations such as NADFAS or the Victorian Society. Volunteers are needed to show people around the church when it is open. Members of the congregation need to be encouraged to work with the volunteers and, ideally, to replace them in due course. At least for the next two or three years, a co-ordinator is required to ensure there is an adequate rota of volunteers, to liaise with organisations like London Open House or the Victorian Society and to make sure there is adequate publicity (most of which would be provided by Open House, the Big Draw etc.). It might be possible to provide an honorarium for the co-ordinator. It is expected that the first activity would be London Open House 2015. A free leaflet will be produced so visitors can be self-guided to some extent. 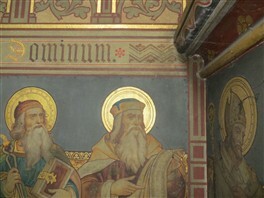 In addition, there will be a booklet with a more detailed history of the church and the murals. This will be for sale, though volunteers will receive a copy to enable them to brief themselves. I would be very glad to hear from any Hackney-based organisation or individual/s who would like to tackle this project. This page was added on 03/10/2014.